Does a logo design rationale need to be obvious? Does a logo concept or rationale need to be overtly obvious? I don’t want to dive too deep into the psychology of logo design at this point but shapes are quite important. Our brains are wired to recognise and memorise shapes and that’s how humans learn. There is a distinction between a logo type and a logo mark but if you think about it, letters are shapes too. Ok, I’m getting off the mark here. Let’s get back to logo design rationale. The FedEx logo is one of the best examples of psychology in logo design. The arrow and measuring spoon aren’t overtly obvious at first but when someone points it out the penny drops or if you notice it on your own you can’t help feeling a little smug. I can carry on with a few other examples but I want to show you one of my favourite logo designs which will help me answer this question. 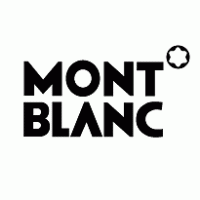 That’s nice and all, but do you know what the Montblanc logo means? The Montblanc star mark was created in 1913 when it became the logo and trademark and all writing instruments created would carry the rounded star mark. The shape represents the snow-covered peak of the highest mountain in Europe, Mont Blanc. Obvious? Not at all unless you are a logo history geek (jokes). My point is that there are many iconic logo designs that appear to have no meaning at all or the meaning is not overtly obvious. It’s risky business to look at a logo in isolation and it needs to be looked at as a brand… in context, how it is used, applied etc as the interaction with a logo is only a small proportion of the brand experience. Unless the ambiguity of the logo mark risks it being memorable or identifiable then I don’t think that a logo’s meaning or rationale needs to be obvious.